It’s that time of year again already, the weather has turned cold, the Christmas adverts are on the TV, the mince pies have been on the shop shelves for a month already… That’s right, the fat merry man will be squeezing down your chimney in no time, so wrap up warm and get snug on your sofa and play a slot game that will leave you ever so merry and bright. Slip on your Santa’s Little Helper costume, dust the snow off the bonnet, slide into your reindeer-drawn sleigh and get ready to take flight into a winter wonderland with Jingle Bells slot game on your favourite online slots casino. 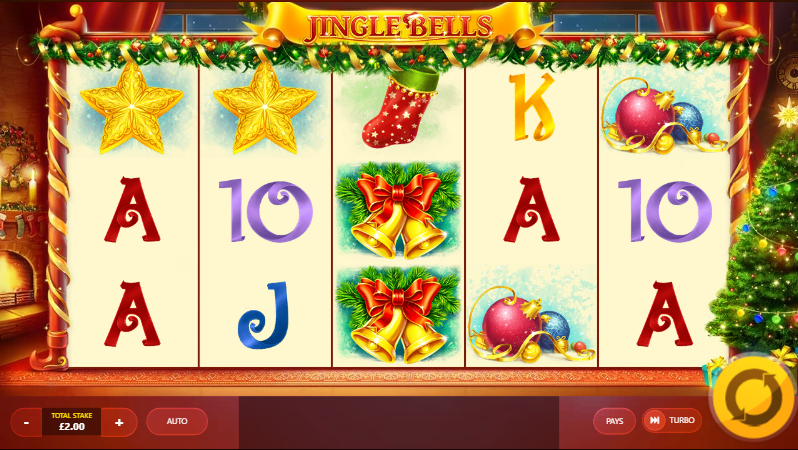 Jingle Bells is an online slot game comprising 5 reels and is played across 20 festive inspired paylines available at wizard. The merry slot features 5 impressive bonuses to ring your bell, including plenty of free spins, mega Wilds, and raining Wilds. To be gifted with free spins, all you need to do is land three Free Spin symbols in any position on the reels and you could win a potential 20 free spins which can be triggered again if you continue to land the Free Spin symbols. That’s a gift not to turn your nose up at! Keep your eyes peels for the Mega Wilds on the reels to be in for a gift you won’t forget in a hurry, the 3 x 3 Wild will take over the reels and gift you with a surprise. As if that isn’t wild enough, there are Raining Wilds on this slot too, where Wild symbols will be dropped from the air (presumably off the back on Santa’s sleigh) to bless you with good luck and prosperity for the new year. There's more from our guide about UKs best slot games to play in terms of themes. Last, but certainly not least, there is a Secret Santa Bonus to be had in Jingle Bells. For this bonus, watch out for the generous Chris Cringle as he makes his way across the reels and gifts you the Secret Santa Bonus, which will get you a potential 800 x your stake. Keep hot on Santa’s heels though, as you will need to follow him and open up the gifts as you go so that Santa can continue on his journey to each house and eventually to the magical multiplier to win your ultimate prize. If you have already polished off a full box of mince pies and are slipping into an overindulged slump on the sofa and would prefer to sit back, relax and watch the festive fun unravel on the slots, you’re in luck, as this slot game has a handy autoplay feature so you can jingle all the way without lifting a finger. The autoplay option allows play to continue to a set number of spins at your chosen bet amount per pay line, so you can simply enjoy the view, mulled wine in hand. 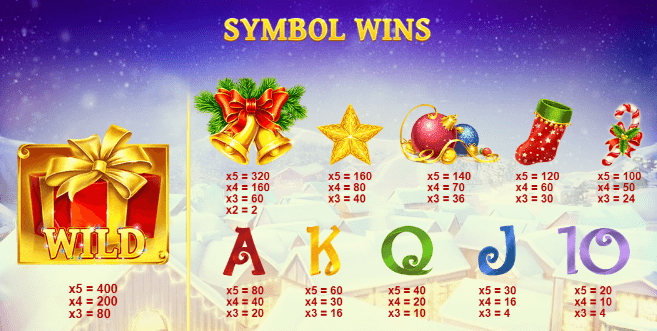 This is the perfect slot to get you in the festive spirit and it perfect for beginners as well as more advanced players. Or you could try Dollar Llama!